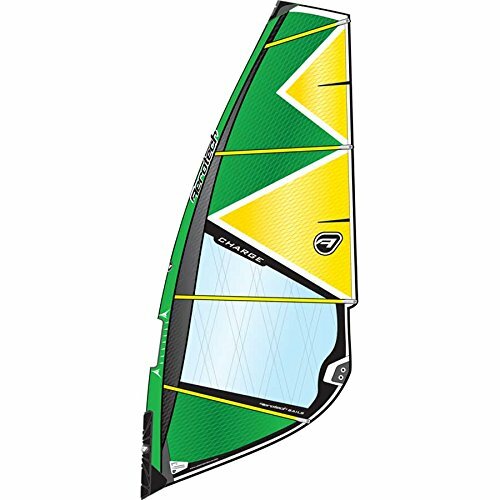 The Charge is Aerotech's down-the-line wave sail. This model has the ability to hold good power when needed but remains neutral for transitions or wave riding. It features a 'drop-clew' design which allows for shorter boom lengths and improved handling. Lots of color gives this sail a real look at me appeal. It is one of the most durable wave sails ever produced using triple throw stitch seam construction. Other features include; an anti-chafe bumper in the head, new raised stainless steel 6-1 pulley with oversized rollers, thermo-formed base pad and interactive rigging guide. All battens are rods.